I love giving gifts and use every excuse/holiday/birthday/anniversary to treat friends and family. 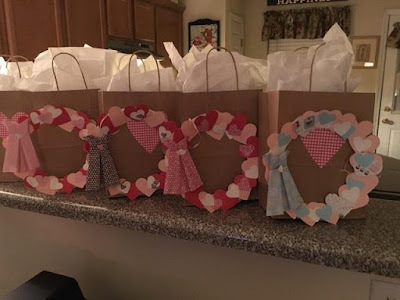 This year, I've decided to expand on my usual Valentines gift for co-workers and throw in a little candy and cute gift bag that can be reused. 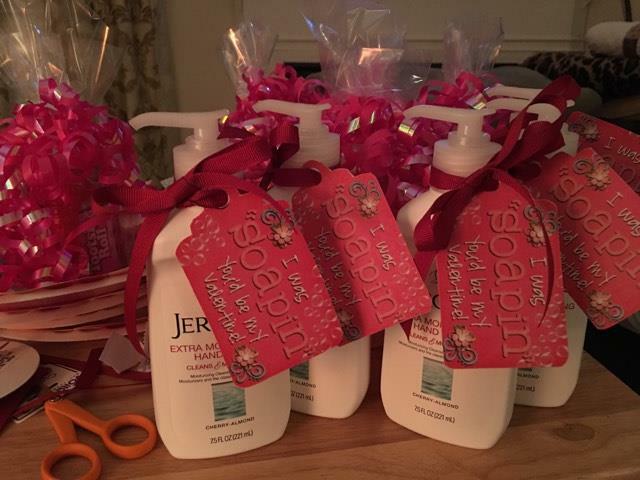 My old standby is the hand soap and cute printable below. The tag is courtesy of My Digital Creations. The tag reads "I'm soapin' you'd be my valentine!". 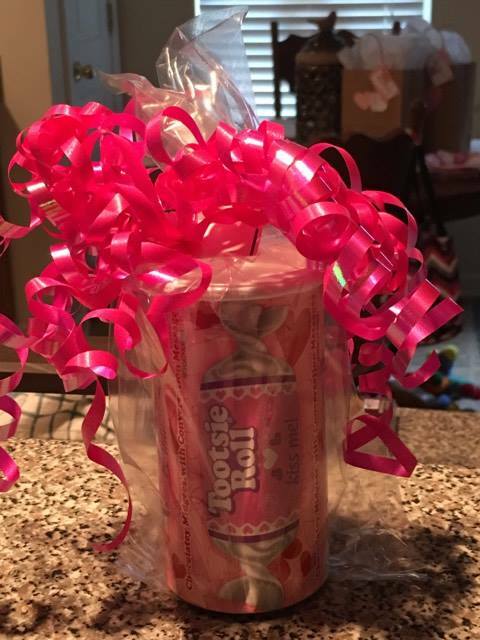 This is the cutest gift and you know the recipient will use it. Do you remember the Tootsie Roll banks from the 80's? I had one in my room when I was growing up and literally squealed when I saw Valentine themed Tootsie Roll banks when I was shopping this weekend! After the candy is gone, the recipient can keep the bank for loose change or as a memento. I put the bank in a cellophane gift bag and added a big, pretty bow. I used a pattern tutorial to make the origami dress that is attached to the wreath but you could use a paper flower pattern or some other fancy that you prefer. 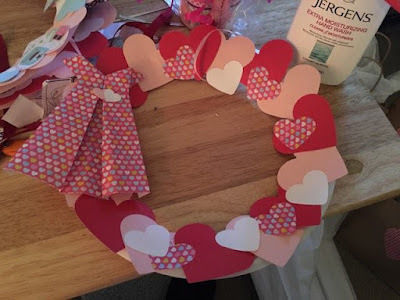 Attach a small ribbon to the top of the wreath and it's complete! The last thing I did was bag everything up and get it ready to take to work in the morning. I need to get my Longaberger basket down from the top shelf and pack everything up! Never heard of Longaberger? You are missing out! Check out more about the company here. 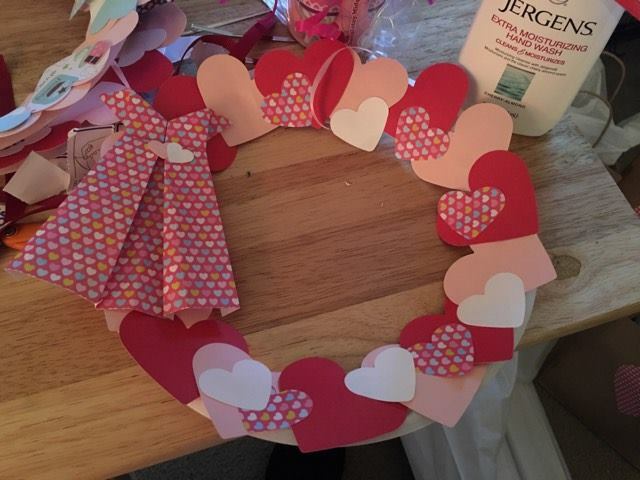 Do you give a Valentine to your friends, family or co-workers? I would love to see your creative ideas! Please feel free to share in the comments section below.